For a present with a personal touch, our Deluxe Pen With Personalized Rosewood Box makes a great gift! 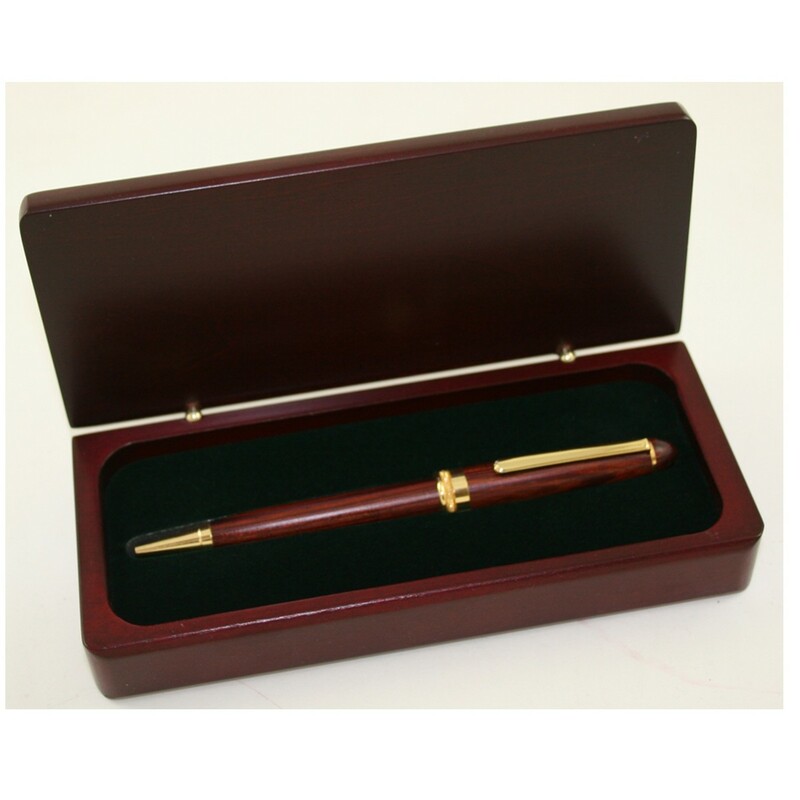 This deluxe rosewood pen with matching, felt lined solid rosewood box is a perfect gift for your special someone! The top of the rosewood box lid is personalized with up to four lines of gold filled laser engraving. 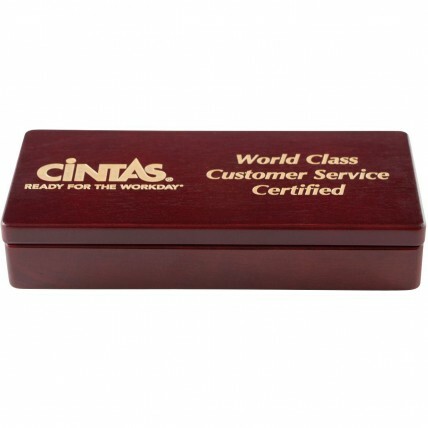 Engraving on the box is included in the price; add engraving on the pen for an additional $10.00. Makes a great boss gift, client present, graduation gift or retirement gift!